On Pesach, we retell the story of the Jewish people’s freedom from slavery and their journey towards covenant and redemption. Acts of heroism, generosity and kindness performed by Jews over the centuries are reminders that the Jewish people can indeed set aside their differences and come together in order to make the world a better place. 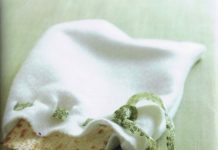 In preparation for Pesach, and in honor of the newly formed One Jewish People Project, we share stories of bravery, determination and Jewish unity. A handful of Jewish prisoners in a Soviet labor camp in Siberia wanted to celebrate Pesach after months of incarceration in an environment that wanted to squash the Jewish spirit out of their lives. Michael Stravinsky was imprisoned for the crime of teaching Jewish History to Jewish pupils. Out of his group of inmates, he was elected to approach the guard. Michael bravely requested matzah for a Pesach seder. Instead of being scolded for his request, the guard told him it would be passed on to KGB headquarters. After days of silence, the inmates, including Michael, gave up hope. One day, very near to Pesach, the guard called Michael over and was told to go over to the administrator’s building. Michael was granted permission to have matzah on two conditions. One that the inmates build the brick oven and two the flour come out of their food rations for the next seven days. They quickly built the oven, for fear of the commander changing his mind, and baked lumpy, burnt matzah’s out of their meager rations. The night of their seder, they secretly constructed a makeshift table between two huts in the labor camp. 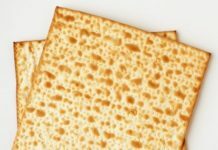 They had matzah for their meal, and truly felt like they were tasting freedom. A true example of fortitude in the face of adversity is personified by Rabbi and Rebbetzin Lifshitz, the Chabad representatives in Nepal. Every year they make it their mission to host the Jewish travelers who come by, usually numbering 1000. The whole seder is considered a massive undertaking, Jewish and Israeli backpackers coming from all over, making it the largest seder ever. When the infamous earthquake occurred in the Nepal and set the region on a slide into turbulence, the Lifshitz refused to leave. Rabbi Lifshitz continues despite the danger, determined to be there for the backpacking Jews. During the infamous set of earth quakes that hit Nepal, Rabbi Lischshitz was adamant that he be there for the Jews and the people of Kathmandu, acting as a spiritual guide and source of strength for the beleaguered community. When we think of unsurpassed bravery we think of the men and women who fought in the Second World War against Hitler’s forcers. The often glossed over and unsung heroes of WWII are the Jews who served in military roles. An astonishing 4-5% of soldiers in the US military during WWII were Jewish when the Jewish people only made up 2% of the population as a whole. 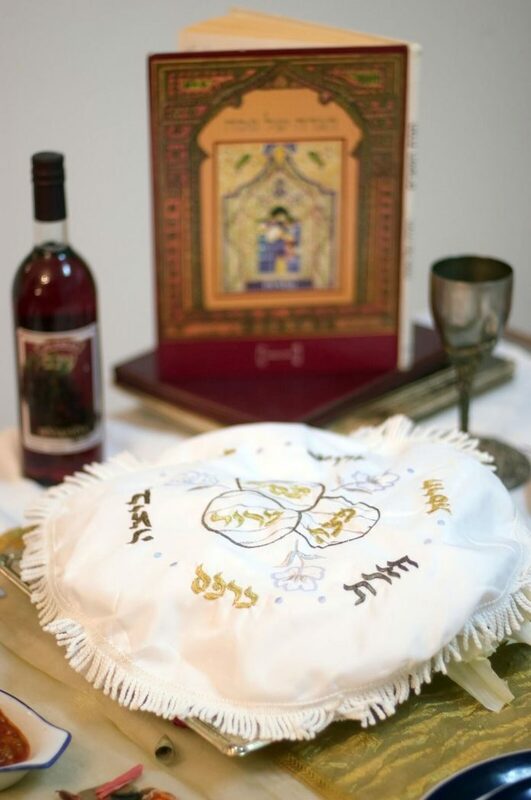 It’s touching to imagine soldiers from all corners of the United States gathering in the plains of Europe and on the beaches of the Pacific come Pesach time. The food collected for these communal seders were an eclectic collections of war rations, and food donations from exotic places. Orders in French requested, Lettuce with charoset and consommé in Kneidlash. With bits and pieces hastily put together, each base saw its Jewish soldiers turning to their fellows and seeking the comfort of their traditions in a time of chaos. These military men made it their duty to keep the seder. Programs were written, the people who cooked and prepped the meal honored and noted. 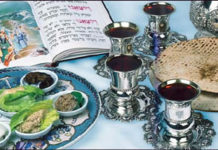 Seders took place in locations as far as Accra and Bombay, the food having been gathered and provided for by the Jewish Welfare Board. Despite many obstacles, these soldiers came together in a symbolic act of Jewish ritualism when it literally felt like the world might be ending. The Pesach story serves as the original tale of Jewish unity and not only is it our imperative to tell it over again every year, but it is integral to actively strive for the same unity experienced at the foot of Mount Sinai. Newly created initiative, The One Jewish People Project aims to bring Jews from every denomination together in acts of kindness and selflessness, in order to promote just that. What these stories teach us is that Jewish unity is a key component to overcoming the challenges of history. There is a special magic in the Jewish narrative of survival and resilience. When Jews forget their differences, pause their arguments, strive to include each other in one large tent of Israel, they surmount the impossible. This Pesach, the One Jewish People Project encourages everyone to come together to recall what it means to be truly united and to remember how that unity can help us through the darkest of times. YOUR MISSION: Sell Your Seder.